You can undo your cancellation from the control panel. Click Withdraw cancellation, next to the expiration notification. Is the option to withdraw your cancellation not available? If the option isn't available, this is because the expiration date is very close. 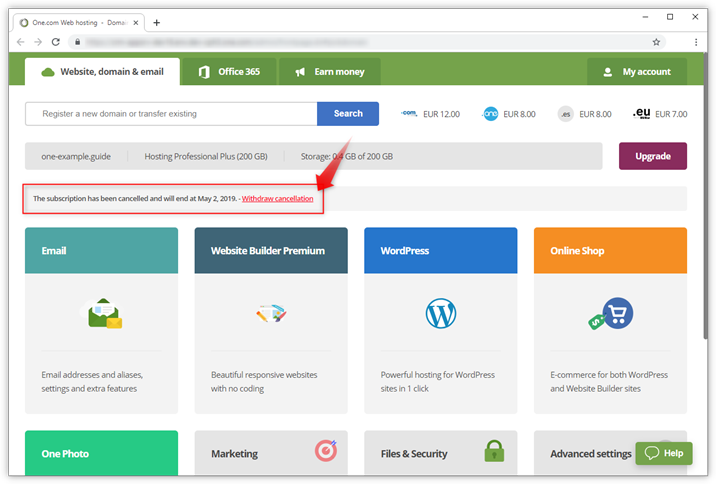 It is still possible to renew your subscription, but it needs to be done manually by our hostmasters. Send an email to our sales and administrative support with your request. TIP: If the expiration date is within 3 days, we recommend you to contact our chatsupport after you've sent the email, to speed up processing of your request.